Below is a selection of guidance documents and other publications to assist owners and operators of historic maritime properties with the documentation and preservation of their resources. 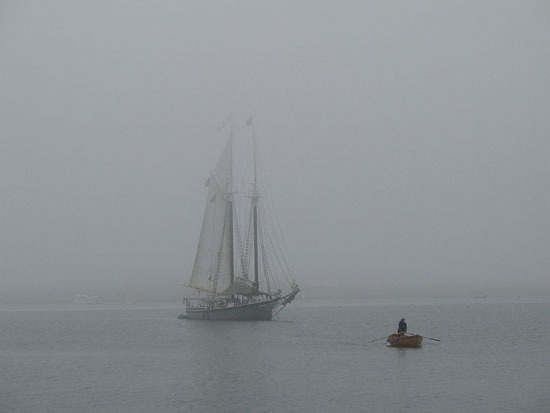 The schooner Lewis R. French in Maine. Photo by akh673. Permission for NPS use granted via entry in the 2010 National Historic Landmark Photo Contest. Boats: A Manual for Their Documentation (1993). Prepared by the Museum Small Craft Association and the American Association for State and Local History with assistance from the National Maritime Initiative and other partners. Guidelines for Recording Historic Ships (third edition, 2004). Prepared by the Historic American Buildings Survey/Historic American Engineering Record (HABS/HAER). National Register Bulletin Number 20: Nominating Historic Vessels and Shipwrecks to the National Register of Historic Places (1987). Prepared by the National Maritime Initiative and the National Register of Historic Places. National Register Bulletin Number 34: Guidelines for Evaluating and Documenting Historic Aids to Navigation (1990). Prepared by the National Maritime Initiative and the National Register of Historic Places. Full list of National Register Publications. Secretary of the Interior's Standards for Historic Vessel Preservation Projects (1990) (pdf). Prepared by the San Francisco Maritime National Historical Park and the National Maritime Initiative. You may also find useful the National Park Service's Discover History webpage about federal historic preservation laws, regulations, and orders. The Submerged Resources Center (formerly the Submerged Cultural Resources Unit) was formed and staffed in 1980 by underwater archeologists and photographers to provide the expertise required by managers of national parks with submerged lands. Now encompassing natural resources as well, the Center supports the protection, preservation, public access, and interpretation of submerged resources. The Center produces periodic cultural resources reports. 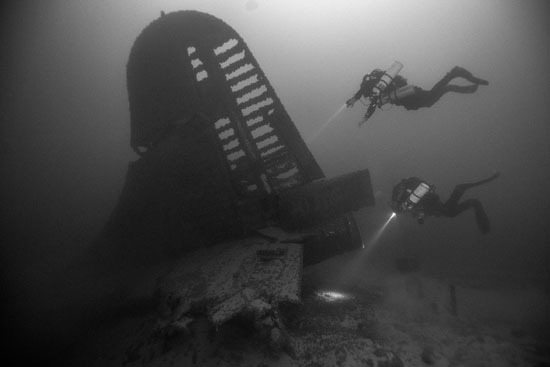 Divers from the Submerged Resources Center inspect a 1940s B-29 Superfortress Bomber in Lake Mead. NPS photo by Brett Seymour.